Hey guys, here I will share amazing information about Nintendo gaming console and the best NDS emulators for Android. Nintendo is a gaming console, and it is a Japanese video game console headquartered in Kyoto. Nintendo was founded on 23rd September in 1889 by Fusajiro Yamauchi. It is one of the best and most iconic handle gaming consoles. It is also one of the world’s largest video game companies, creating the best known and top selling video game branches like Mario, The Legend of Zeida, Modern Warfare 3, Ben 10, Star Wars, The Force Unleashed and Pokemon, etc. I love Nintendo very much, so I hope to play it on my Android phone, then I find these best 5 Nintendo DS emulators for Android phone. Though Nintendo DS emulators are still not fully optimized for all functions and controls, since in emulators only few options are available, you don’t have to worry as developers are still working hard to provide the best practices for the application. Now here I will share the best 5 Nintendo DS emulators for Android, and the steps to play Nintendo DS games on Android. And you don’t even have to worry about game data loss with this Android Data Recovery tool. It can help you recover deleted data from Android phone even after factory reset or wrong deletion. How to Play Nintendo DS Games on Android? Here I have listed the best Nintendo DS emulators for Android. I had tested all of them by myself and made reviews based on their features and user experiences. DraStic is a very fast and amazing DS emulator, and it is on the top list of Nintendo DS emulators for Android. It comes with many good features and provides full control to operate the game. DraStic is available at the Google Play Store for $5, so it is valuable and totally worth. You will not be disappointed for any kind. If you can download apps from Google Play Store because of Google Play Store Not Working, you can find solution here. NDS Boy! is also the best android DS emulator that helps you enjoy your favorite NDS games. An emulator is by definition very unoptimized in how it does things. It was made by someone like you or mean enthusiast who learned as they went along, instead of someone who had the necessary expertise to do it. Emulating something is always power-intensive. Also, I remember the DraStic developer said that NDS Boy! was actually based on his previous work on one of the emulation, which means DraStic will likely be better but not to the extent that you’re hoping for. As usual, NDS Boy! does not keep company with any ROMs. You’ll be able to transfer the Nintendo DS ROMs from anybody of the numerous pages that focus on them. That said whereas the copycat is technically ready to play files in .nds, .zip, .rar and .7z formats, it’s solely a quality if they are in .nds format. 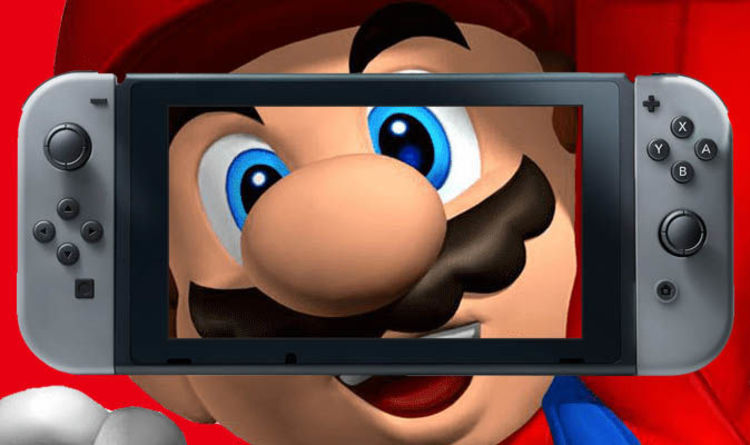 AseDS Emulator is one of the most and best emulators for playing your favorite Nintendo games on Android device. Inside the application there are many features inbuilt, for example, dual touch screen, game replay, code breaker cheats, loading the stack quickly, etc. It also supports wireless control and several other things. AseDS Emulator is currently downloaded by over 1,000,000 peoples and it is the best Nintendo DS emulator for Android. GENPlusDroid is an intense mega drive emulator that will give you a chance to play the best recreations of the 16-bit time on your Android gadget. Titles like Streets of Rage, Sonic the Hedgehog, Mortal Kombat, and Street Fighter 2 will be accessible to you, to give some examples. Similarly as with any other Android emulators, GENPlusDroid does exclude the diversions themselves. You’ll need to download the titles you need to play from another site that has those sorts of documents. When you download the ROMs, it’s best to place them in the emulator organizer to get to them all more effortlessly, despite the fact that you can stack them from the downloads envelope, as well. You can design GENPlusDroid to utilize a flat or vertical screen and alter your controllers. You can even play your most loved recreations utilizing a controller by means of bluetooth. GENPlusDroid is a great mega drive emulator that takes up almost no space on your telephone’s memory. It is good with a gigantic rundown of diversions that spreads for all intents and purposes the majority of the enormous Sega list. NDS4Droid is a Nintendo DS emulator. Despite the fact that it is still in its advancement stage, as of now it enables you to play some computer games made by the well known Nintendo supported with moderately great outcomes. The fundamental issue for most of the diversions is that the casings every second have a tendency to be substantially less is alluring, making the amusement slower and choppier. All things considered, this application as of now gives you a chance to spare your diversion anytime, and it bolsters sound and realistic rendering with OpenGL. A standout amongst other things about NDS4Droid is that the application is open source, so anyone can download it without paying anything and even change its code. Stacking ROMs is actually the equivalent as it would be with some other emulators. NDS4Droid underpins some computer games, however not every one of them. Some work impeccably, while others experience difficulty running on the emulator. Last Fantasy IV, for example, functions admirably however with a casing rate that is less attractive. NDS4Droid is a Nintendo DS emulator that is great and extensive. It doesn’t yet bolster the whole inventory of recreations for Nintendo DS, yet you can even now play a decent measure of great titles. With the tips and tricks above, you must know how to play Nintendo DS Games on Android with these emulators. Better yet, you may also be able to stream your Android screen to TV to have better game experience. Hope you like this article and please continue to visit our Android Tips Tutorial for more stuffs like this. Please share your opinions concerning this text by using the comment area provided below. Thanks so much for giving your time to this text The Best NDS Emulators for Android.